My perfect day in Barcelona involves coffee stops, wandering around, a little shopping and definitely a bit of rooftop drinking. I love it when I have family or friends visiting and I get to share all of this with them. My perfect morning would probably be a spring or autumn day here in Barcelona, with bright blue skies and nice temperatures. 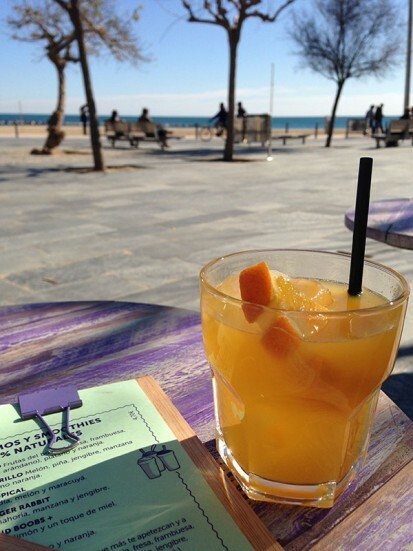 I love walking down to the beach for a bit of fresh air and exercise and then totally compensating with pancakes and syrup at the Californian style beach bar, Surf House Barcelona (Carrer l’Almirall Aixada, 22) or a cafè con leche and scone (English style) at Buenas Migas (Plaça del Mar, 1). Both spots overlook the sea and therefore make for a perfect breakfast stop. I love photography and am a massive Instagram fan, so from the beach, I’d probably walk around the back streets of the Born or the Gothic Quarter, taking photos of daily life in Barcelona with its old bars and cute terraces. If I had time, I’d pop into the Convent de Sant Agustí (Carrer del Comerç, 36) to see what photo exhibition they have on. This cultural centre and café, in the Born area, has a gallery with local artists and photographers exhibiting, and sometimes a pop-up vintage market. Heading up past the cathedral in the Gothic centre, it’s worth making a stop at El Cercle (Carrer dels Arcs, 5) terrace which sits up high overlooking Portal de L’Ángel, one of the main shopping streets in the city. I recommend this café especially in the winter as it does some of the best churros and chocolate you’ll ever taste. 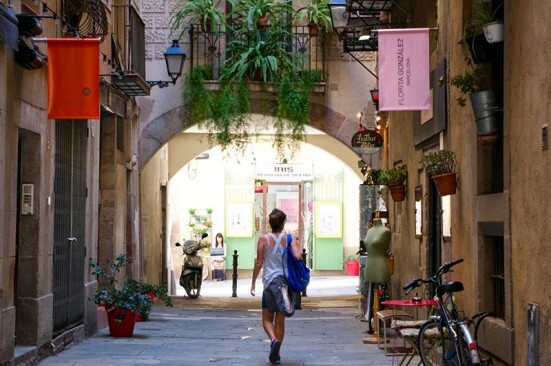 Shopping in Barcelona is great and although I love the little boutiques in Gràcia and the Born, I enjoy browsing in & Other Stories (Passeig de Gràcia, 8) and Cos (Passeig de Gràcia, 2) as you’ll always find something a little different from the typical Zara fashion. 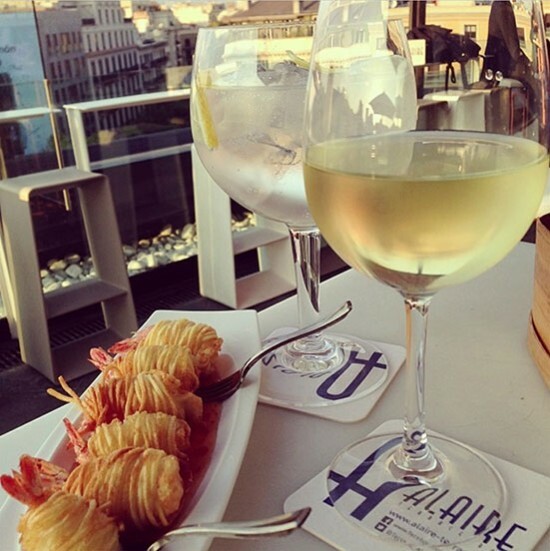 I’ve always found the light in Barcelona to be incredible, especially in the early evening and that for me is the best time to head up to the Alaire Terrace Bar at the Condes de Barcelona Hotel (Passeig de Gràcia, 73). A cold glass of wine with my friends or husband along with the seriously tasty prawn wraps with sweet chilli sauce never fail to make me happy. The view of Gaudí’s Sagrada Família and La Pedrera as the sun sets over the city make the perfect end to my perfect day in Barcelona. Angela is originally from South London, but has been living and working in Barcelona for 8 years. 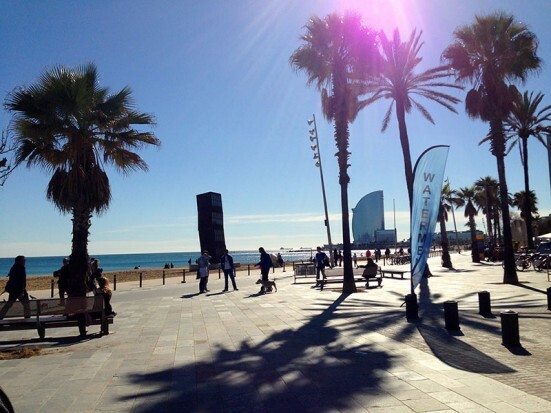 Check out her blog, Instagram and Facebook for great ideas on what to do/eat/see in Barcelona. Angela also hosts delicious English Afternoon Teas on her private garden rooftop. Thanks Angela. I have updated it.